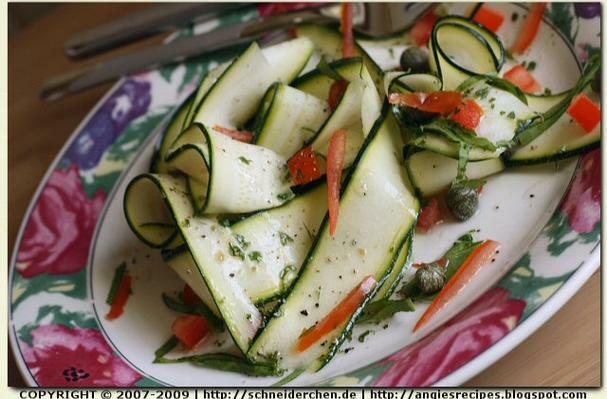 Toss the zucchini strips with the oil, lemon zest and juice, garlic, salt and pepper. Set aside for 30 minutes to marinate. Divide between 2-3 plates and top with capers, tomato julienne. Drizzle any extra dressing over if desired. To garnish, sprinkle a pinch of dried parsley over. The lemon juice and olive oil dressing makes this zucchini salad tastes fresh, while capers definitely add flavour and interest to this summer squash salad. Super simple and absolutely delicious!